A 70mm (35mm/35mm) Euro Profile Double Cylinder Lock Barrel suitable for internal and external applications where key locking/unlocking is required to both sides of the door. The cylinder features a High Security pin tumbler mechanism with 6 main top pins, 4 special side pins and hardened steel inserts providing anti-drill, anti-pick and anti-bump characteristics. The Restricted key profile offers higher security against unauthorised key duplication - cut keys and key blanks are only available through authorised stockists. 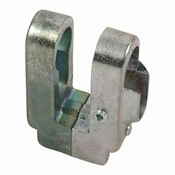 This cylinder lock barrel is certified to the highest grades of BS EN1303 for durability and key security as standard. 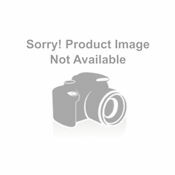 This version is supplied "Master Keyed" - please refer to the information under the "Keying" tab above. 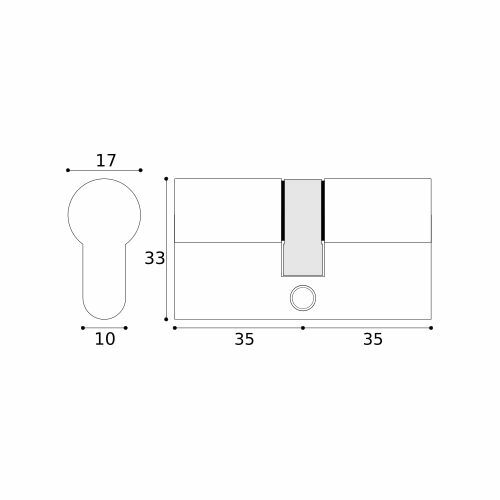 For locks fitted centrally, the minimum cylinder length required is calculated by adding the door thickness to the thickness of escutcheons or handle backplates. 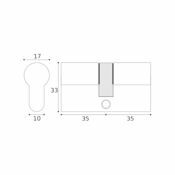 Cylinders should ideally be flush with, or protrude no more than 3mm/5mm from, the face of escutcheons or furniture backplates. Where locks are fitted off centre the minimum cylinder length should be calculated for each side individually by measuring from out from the lock centre line. Again, don't forget to add the thickness of escutcheons or backplates. These cylinder lock barrels are supplied suited "Under Master Key" whereby groups of cylinders are operable by their individual keys AND by a master key that operates all of the cylinders within the group. This option is often specified for commercial projects as it allows keys to be issued on a hierarchical basis. This feature is available for all of our MP10 cylinders so your group can contain any combination of the cylinder types, sizes and finishes within the range. 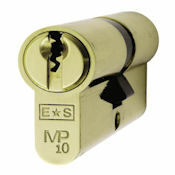 This euro profile cylinder lock barrel is manufactured in master keyed format to special order only. 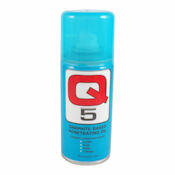 You should therefore allow 5 - 7 working days for delivery.